The set of inter-related economic activities powered by the greed, i.e., the production and consumption of goods and services whose ultimate goal is high Index of Fortune. The Value Quest Bourse is reference to current economic crisis, effected by globalised economy and free trade ideology that brought unrestricted deregulation of the global financial system and trade, caused turbulence in labour markets and displacement of industry, and imposed privatisation which was often recklessly done. 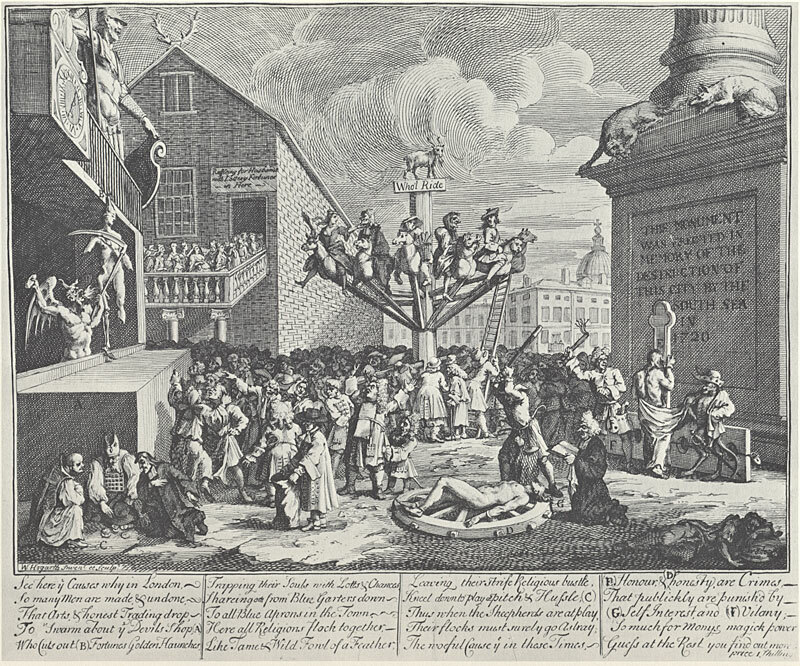 Hogarth pictured catastrophic stock market crash of 1720 noted as the South Sea Bubble. Blindfolded Fortune is hanging from the balcony of London's Guildhall. The devil is cutting her flesh and throws it to the speculators. Difrent forms of gambling and feverish spining of merry-go-round simbolises wild speculation that took place during the South Sea Bubble. REF -> Transcript: Gordon Gekko’s speech, a ruthless stock broker played by Michael Douglas in the movie Wall Street: Money Never Sleeps (2010). Directed by Oliver Stone, written by Allan Loeb and Stephen Schiff. Staring: Shia LaBeouf, Michael Douglas and Carey Mulligan.